Back in February we spotted this table at the Point. 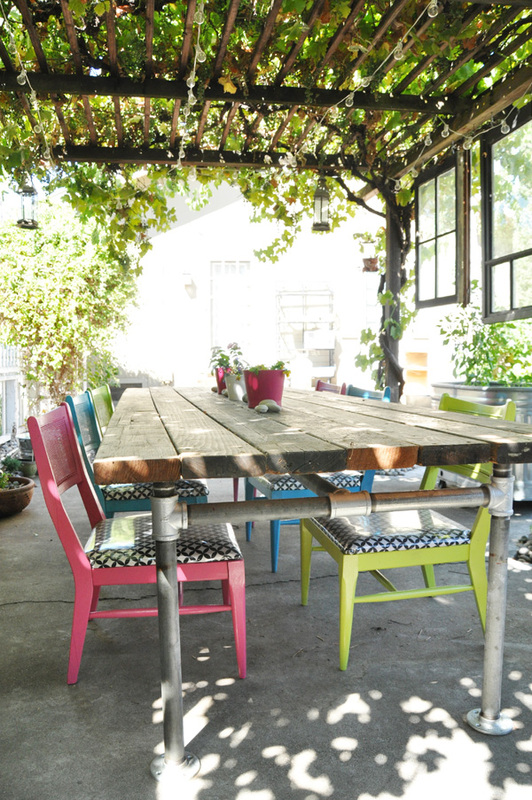 It was exactly what we were looking for our outdoor dining area. Of course at Point prices this was out of our reach but we felt we could tackle this one on our own. So earlier this summer we got to work making one. We started by scouting out materials and coming up with a plan based on the height of the chairs we had and the space the table would live in. The result became a 10 ft in length custom table and a new windshield. 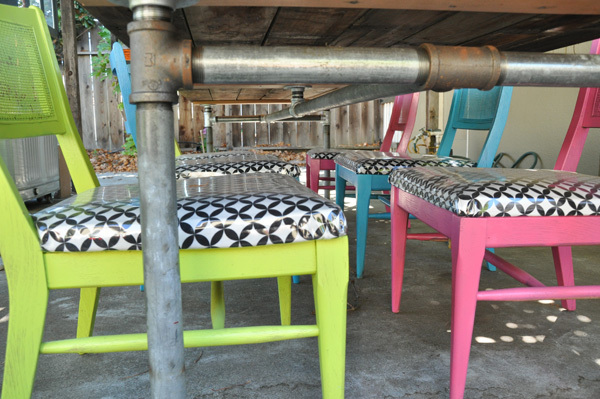 We started by gathering used galvanized pipe from Urban Ore in Berkeley. Then headed over to Lowes to have the pipe cut to the dimensions we needed and purchased new fittings. 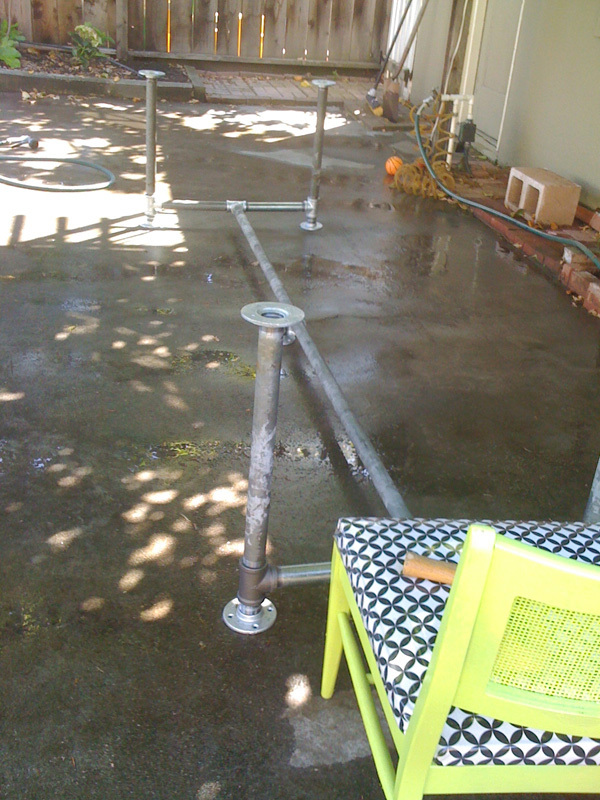 Next we assembled the frame, by basically attaching the fittings to the pipes. 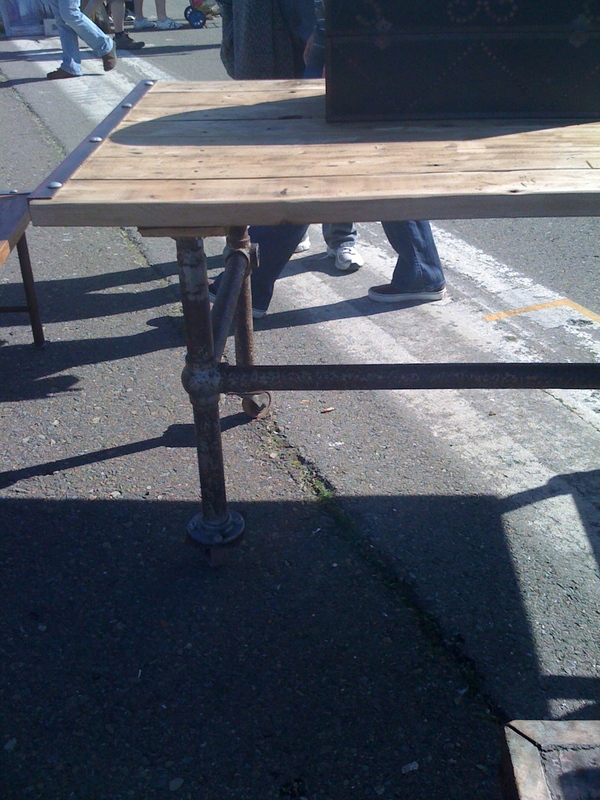 Once the frame was assembled we used salvaged redwood from Oakland's ReUse Store and assembled the top. This is were my windshield broke. Turns out the boards were just a bit too long for the car. Using two supporting panels that go over the pipe, the redwood was then nailed to the tops to complete the table. And wha la we have a table customized to the length of the space and height of the chairs.